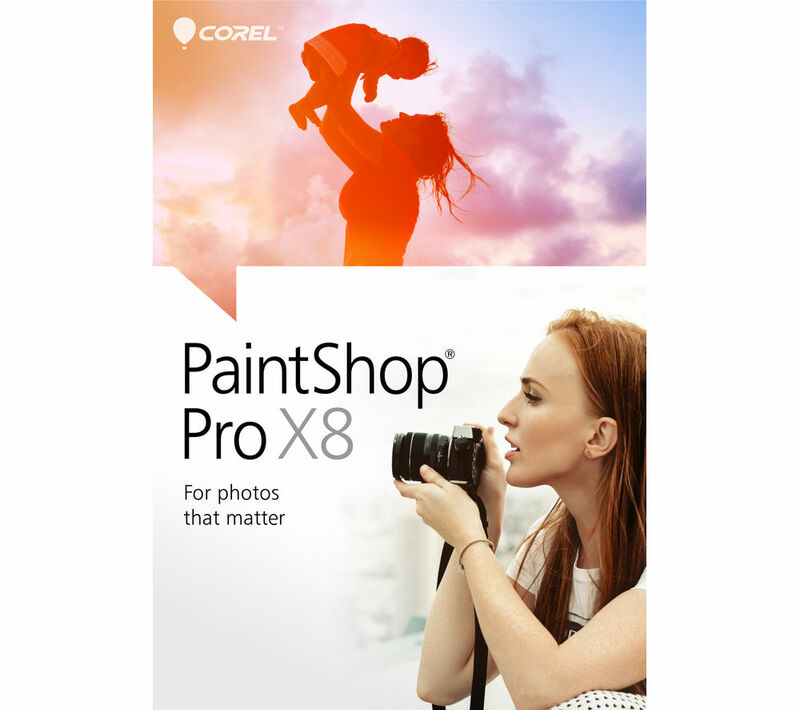 Enjoy pro-grade photo editing and design tools right at home with Corel Paintshop Pro X8, which delivers powerful tools to help you be more creative, complete with fast fixes and instant effects. There's so much you can do with Paintshop Pro X8 – edit and enhance photos, design for web, print or business, or just have fun. Features include image composition tools, layers, creative text and drawing tools, Smart Photo fix, makeover functions and much more. Use automatic Text Wrapping to wrap text inside any vector shape or selection – quickly add dynamic effects to your posters, scrapbooks, brochures, websites and other projects. Editing is smoother and faster with the content-aware Magic Move toll, which automatically replaces the background when you move an object. Take advantage of features like Retro Lab, which gives your photos vintage colour and contrast. Add distinctive colour gradient effects with the Graduated Filter tool, and choose from different Instant Effects to achieve specific results, including Artistic, Film Styles, Black & White and Landscape. Adjust depth of field and apply bokeh effects using Selective Focus, and there are Fade Correction and Scratch Removers to help you restore old photos you've scanned in. Paintshop Pro X8 lets you see your photographs in their full glory thanks to support for 4K Ultra HD monitors. You'll see more detail, enjoy clearer reading and get to appreciate all aspects of your creations. The software offers new icons and an improved interface for use with Ultra High DPI screens. A range of time-saving enhancements allow you to get through edit jobs quicker, so you can maximise your productivity. Several brushes feature speed boosts, and Tolerance settings let you set exact values to define an area. Applying actions to large groups of photos (like Resize, Script and others) is simple with the new Batch Mode interface – and you can apply security features upon output such as deleting file information and location or embedding watermarks. Achieve greater creative control with Paintshop Pro X8 and its advanced layer capabilities. You'll be able to implement multiple non-destructive layers as you edit, putting stunning photo composites and exciting designs within reach. Layer features include layer searching, merging selected layers and expanding or collapsing groups of layers. HDR capabilities allow you to combine auto-bracketed frames into one beautiful image with impressive contrast. You can also divide a RAW file into three images, then selectively recombine them to achieve HDR-like effects. The improved RAW processor layout provides you with before and after views, and an enlarged preview. You can also mange and save IPTC metadata in your RAW files, and output them in JPEG or TIFF formats with the IPTC data. Corel Paintshop Pro X8 lets you get more out of your images with its impressive range of creative tools.